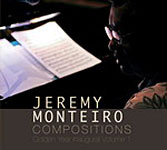 Jeremy Monteiro (pianist, vocalist, composer, jazz educator) has won critical acclaim in many parts of the world. He has performed all over the World in addition to numerous occasions at home in Singapore, where he has been dubbed Singapore's King Of Swing by the local press. In November 2006, he became a Fellow of the London College of Music which is part of the Thames Valley University in the UK. On 12th October 2006, Jeremy Monteiro was elected a Fellow of the Royal Society for the encouragement of the Arts, Manufactures & Commerce in the UK (the RSA). Current Fellows of the RSA include Nelson Mandela and Stephen Hakwing. Past Fellows of the RSA include Benjamin Franklin, Charles Dickens, Gugliemo Marconi and Yehudi Menuhin. On 1st September 2006, he was appointed a Board Member of the National Arts Council of Singapore. The NAC is a Statutory Board of the Government of Singapore and comes under the auspices of the Ministry of Information, Communication and The Arts (MICA). On 29th May 2006, Jeremy Monteiro was appointed Professor & Visiting Chair of Jazz, School of Music, Faculty of Performing Arts & Integrated Studies, LASALLE-SIA College of the Arts. He is the first Singaporean to be appointed Professor at the Institution since Brother Joseph McNally founded it in 1984. 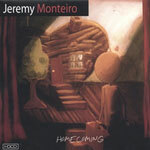 Also on 29th May 2006, Jeremy released his first album of all original compositions. The album, which is the latest in his discography of more than 20 albums, is entitled Homecoming, was recorded in Los Angeles and is released in HDCD format on the Jazznote label. The recording was funded by the National Arts Council's Cultural Medallion grant. On 28th November 2003, Jeremy was conferred the Lifting Up The World With A Oneness-Heart lifetime achievement Award by Sri Chinmoy, who is the leader of the interfaith Peace Meditation at the UN (since 1970) and also the leader of the International Peace Centre. Previous recipients of this life-time achievement award include, His Holiness Pope John Paul II, the Blessed Mother Teresa, Nelson Mandela, scientist Dr, Jane Goodall, sportsmen Muhammad Ali & Carl Lewis, Musicians Ravi Shankar, Roberta Flack, Sting, Quincy Jones and Keith Jarrett. Jeremy was conferred the Cultural Medallion, Singapore's pinnacle award in arts achievement on 8th October 2002. In 1988, Swing Magazine of Switzerland called him one of the best exponents of Jazz Piano. That year, he performed with his all-star band, Monteiro, Young & Holt at the prestigious Montreux Jazz Festival. Jeremy has been mentioned in more than 400 press articles in publications around the world, including Billboard Magazine and The Washington Post. He has more than 20 albums to his credit. He has performed and/or recorded with the likes of James Moody, Michael Brecker, Lee Ritenour, Herbie Mann, Paulinho DaCosta, Ernie Watts, Charlie Haden, Leroy Jones, Cassandra Wilson, Vanessa Rubin, Carmen Bradford, Matt Monro and Simon & Garfunkel to name a few. On June 18 & 19th 2003, Jeremy performed with legendary harmonica player, Toots Thielemans, together with the members of his NYC Trio, bassist Jay Anderson and drummer Adam Nussbaum at the Victoria Concert Hall as part of the Singapore Arts Festival. Also in 2003, Jeremy's CD, A Song For You, Karen a jazz tribute to the music of the Carpenters recorded on the SACD format for American label First Impression Music (FIM), was recognized by respected American Audiophile magazine Soundstage, as being one of the three best sounding High Resolution albums in that year. Among the other CDs given this prestigious recognition was the re-issue of Bob Dylan's album, Highway 61 Re-visited. On March 11th 2005, as part of the inaugural Mosaic Music Festival, he performed at the Esplanade Theatres by the Bay in Singapore, with his international trio of Shawn Kelley and Belinda Moody, Singaporean singers Claressa Monteiro, Jacintha Abisheganaden, Anne Weerapass and Rani Singam together with Jazz legend James Moody, in a concert to commemorate James Moody's 80th birthday. With another of his own bands, Asiana, he has performed at Caesar's Palace, Las Vegas. In late 1992, he produced the Ernie Watts album Stand Up, joining an illustrious alumnus of Ernie Watts' producers, which include Quincy Jones, Creed Taylor, Don Grusin and Gilberto Gil. In March of 1990, at the same time as Natalie Cole, he was admitted as an active voting member of the National Academy Of Recording Arts & Sciences (Los Angeles Chapter), and has voted at the Grammy Awards from 1991 through 2006. As a composer, Jeremy has been awarded a Silver Medal at the 1991 International Radio Festival of New York, as well as finalist awards at the 1990 and 1991 London International Advertising Awards for best original music score (radio, T.V. and Cinema). He has composed or produced over 700 pieces of music and is listed in the year 2000 edition of Who's Who of The World. His last album release in June of 2005 is a duet album with top Chicago Saxophonist, Greg Fishman called, Only Trust Your Heart an album of mostly ballads on the Jazznote label. He served as Artistic Director of the Singapore International Jazz Festival 2001, an event which featured 52 bands and more than 150 musicians from Singapore and overseas. All About Jazz musician pages are maintained by musicians, publicists and trusted members like you. Interested? 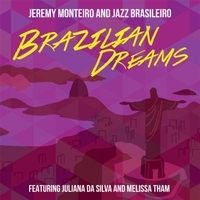 Tell us why you would like to improve the Jeremy Monteiro musician page.